Notes: Second location built in 1904 - 1987. Now residential apartments. 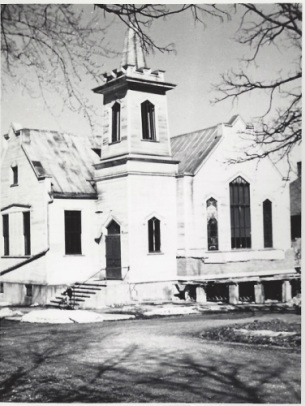 After the coming of the rail road and the relocation of homes and business places, church members desired a church building in the growing village of Mount Horeb In 1903 the Ladies Aid purchased a lot at North 3rd and Oak streets, and a church building was constructed the following year. This building was remodeled and renovated on more than one occasion. Prior to 1986 the congregation purchased land at the corner of Highways 78 N and County S where a new church building was erected.